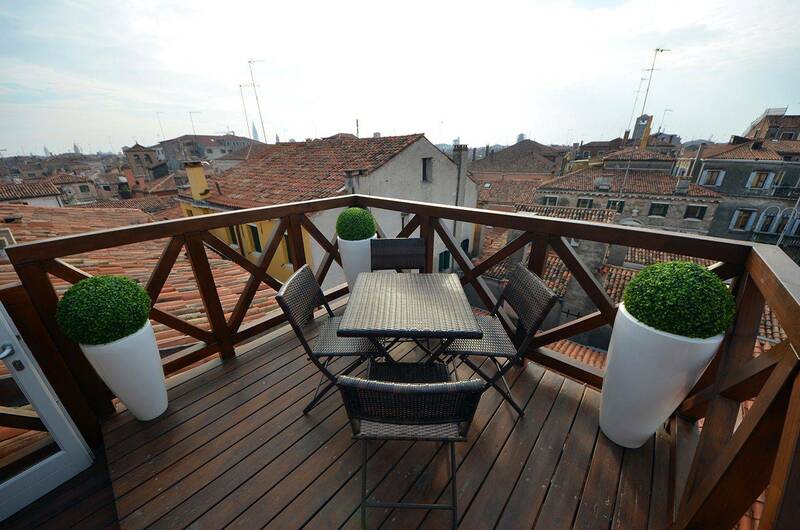 The "Altana" is the traditional wooden roof-top terrace, featuring panoramic view over the roof-tops of the historic center: it is incredibly romantic and unique! The Sagredo apartment is centrally located in eastern Cannaregio district, right next to Cà D'Oro Vaporetto stop: Piazzale Roma car park and the train station can be reached in less than 10 minutes by boat, while taking a private water taxi from the airport in less than 30 minutes you will be home. In the surrounding you can find the Rialto Bridge and its colorful market, while it takes 10 minutes' walk to reach Saint Mark's Square. - the comfort of the brand new amenities. Between other interesting pieces can be found a Carrara Marble Tulip table and chairs designed by Saarinen, a fully equipped and highly technological Ri-Flex kitchen by Veneta Cucine, brushed steel fittings and designer vanities in both bathrooms, stylish modern antiques recalling the 20th century. It is composed of a spacious living room divided from the beautiful kitchen by an airy metal and wooden staircase leading to the attic floor. Behind the stunning Neptune representation on the Wall&Decò of the kitchen, can be found the main bedroom with en-suite bathroom and walk-in wardrobe. This room can be either a double or a twin, with two single mattresses that are normally put together. Its bathroom features a luxury shower cabin, nice mirrored wall and smart lighting. 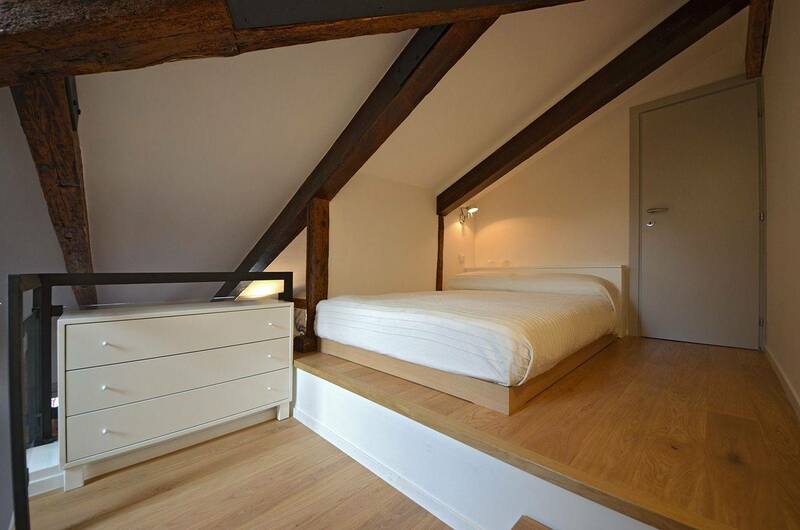 In the attic level can be found a smaller bedroom with 140 cm wide mattress, beside the comfortable access to the roof-top terrace (please keep in mind that because of the pitched roof in some areas the height is pretty low!). In total the Sagredo measures about 80 square meters. The apartment is equipped with air-conditioning in every room, Wi-Fi internet connection, washing machine, dishwasher, oven, large fridge and freezer, 4 burners gas stove, microwave, Nespresso coffee machine, kettle, toaster, flat screen TV with DVD player and Hi-Fi. We highly recommend the Sagredo apartment to couples, for both short or long stays, while it is less suitable for families with children below 8 years of age or people with limited mobility. Fabulous apartment once you have managed to climb the four flights of stairs! Well appointed and very central to all the main sites (and the water bus) but just away from the main hustle and bustle at the end of the day. Lovely roof garden for G&Ts and with a supermarket nearby you can get all you need if you choose to dine in. We arranged a private transfer by water taxi with Truly Venice and it was a fantastic way to get from the airport to the apartment. The Truly Venice rep was on the jetty to meet us and so it all went really smoothly. Highly recommend this apartment for two people. If you have more people then there is a second bed but only one toilet off the main bedroom. Fantastic apartment located close to the main tourist attractions and residential neighborhoods. The Grand Canal is a 10 minute walk away. Loads of lovely side streets and canals 1-2 minute walk away. Large supermarket 2 minutes away (a good thing with so many bridges to walk across in Venice with heavy bags). The accommodation is beautifully designed and spotlessly clean. Very comfortable beds with crisp white sheets. The roof terrace is fantastic after a day of walking. We enjoyed drinks up there gazing across the root tops of Venice at the end of every day. The kitchen is small but well equipped (it includes a full oven). The apartment is very quiet and peaceful (although on the roof terrace you will hear the chatter from the cafes down below). 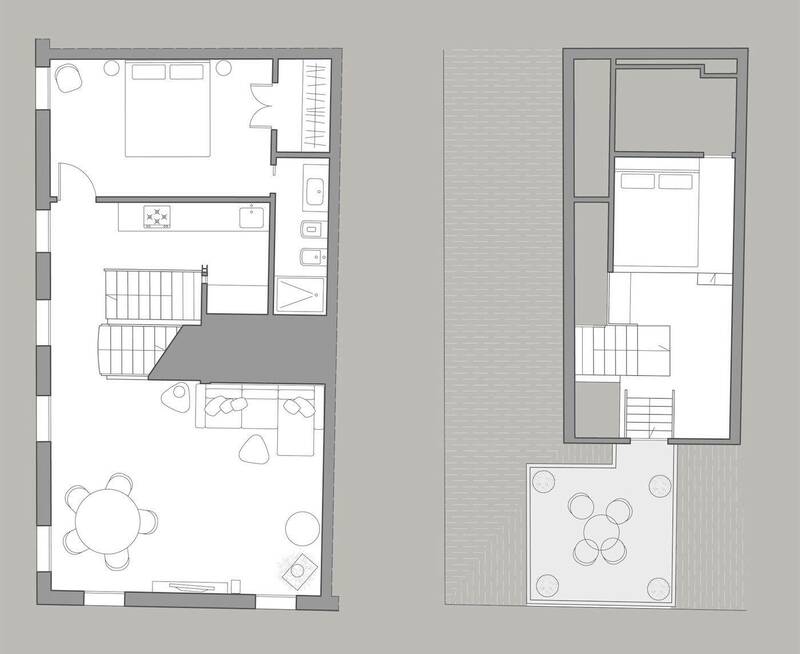 This apartment is reached by climbing 4 flights of stairs. The last flight of stairs and the stairs up to the second bedroom and the roof terrace do not have hand rails - so this accommodation is not suitable for those who are less steady on their feet or children. We definitely recommend using Truly Venice, also to book a private water taxi from the airport to the apartment : we had a wonderful 20 minute ride across the 'water highway' into Venice! We were met at a small pier by the rental agent and within a 5 minute walk we were at the apartment. This was definitely the way to arrive! Hannah (who checked us in) was wonderful and could not have been more helpful or welcoming. We had a lovely time for a week, in this apartment. It was furnished and equipped to a very high standard and had lovely exposed beams, plenty of light, great soundproofing. The roof terrace was a real bonus and we enjoyed breakfasts and lunches and pre-dinner drinks up there - with terrific views that were even better than the photos on the website. Cannaregio is a great location to stay - lovely local restaurants and bars with a residential feel but easily walkable to rest of Venice. I would definitely stay in this area next time I visit Venice. Good company that were very responsive to queries and very professional in terms of advice. I would recommend the company as well. 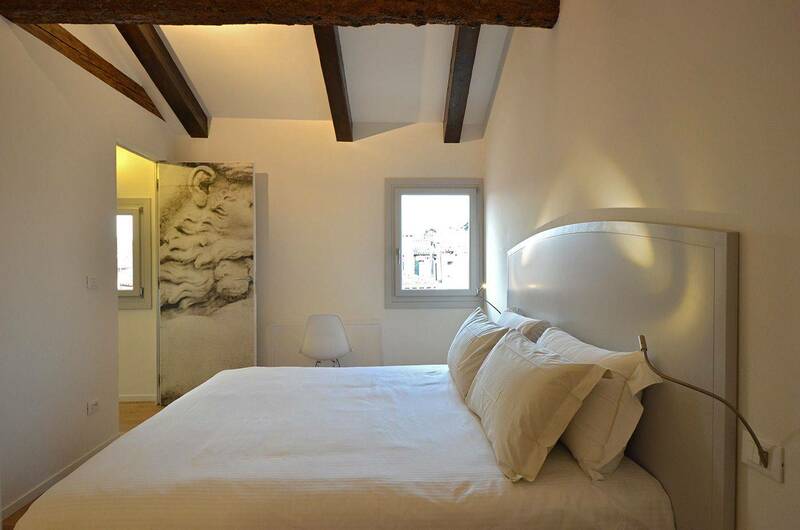 The Sagredo apartment is a comfortable place, very recently renovated. 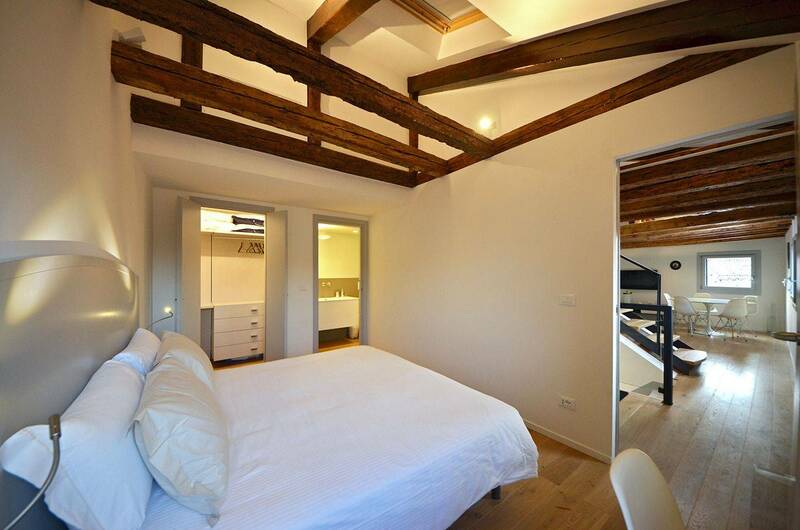 Contemporary design nicely integrating original features such as ancient beams. 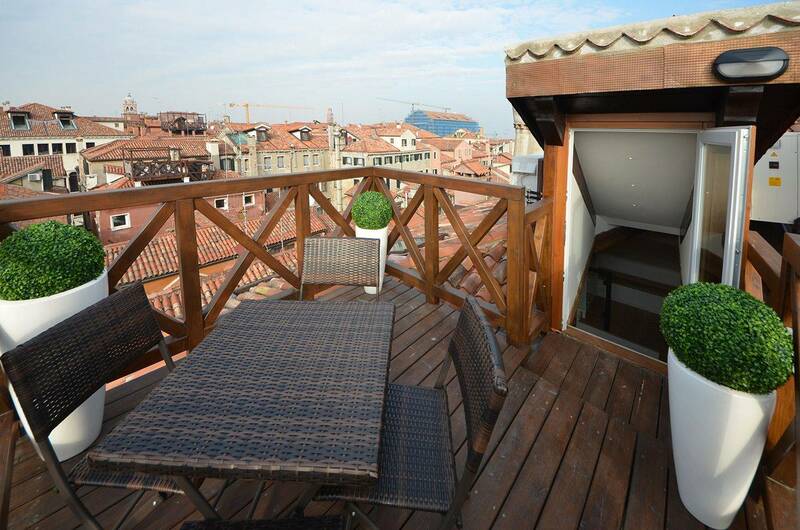 Great location close to the Grand Canal and commodities. Warmly welcomed by Truly Venice representative who gave us lots of advices to get the better from the city. 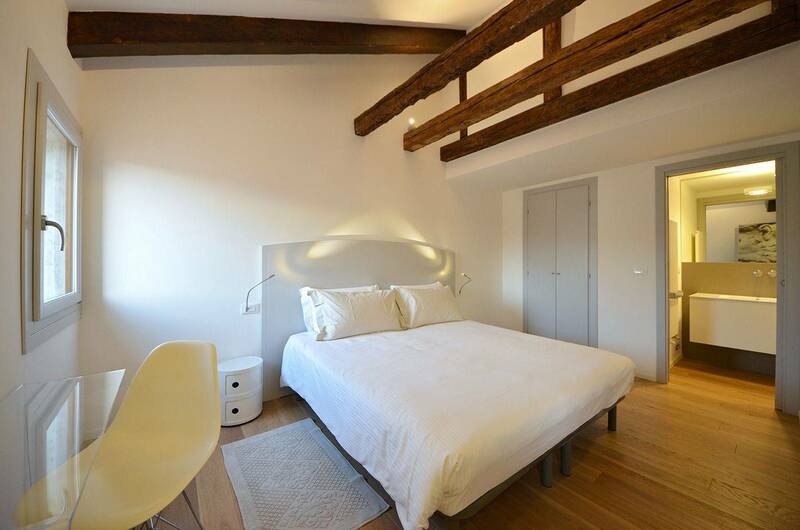 Spent eight days in this delightful duplex ideally located 100 meters from the Ca D'Oro vaporetto, recently renovated with taste and high quality materials, kitchen and bathroom perfect. 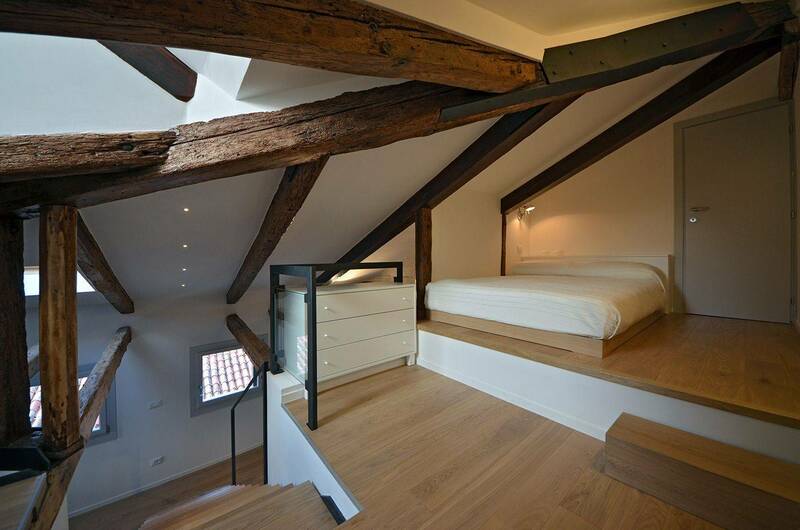 Internal volume very nice with exposed beams and staircase leading to the atlanta overlooking the rooftops of Venice. Very charming place to stay. 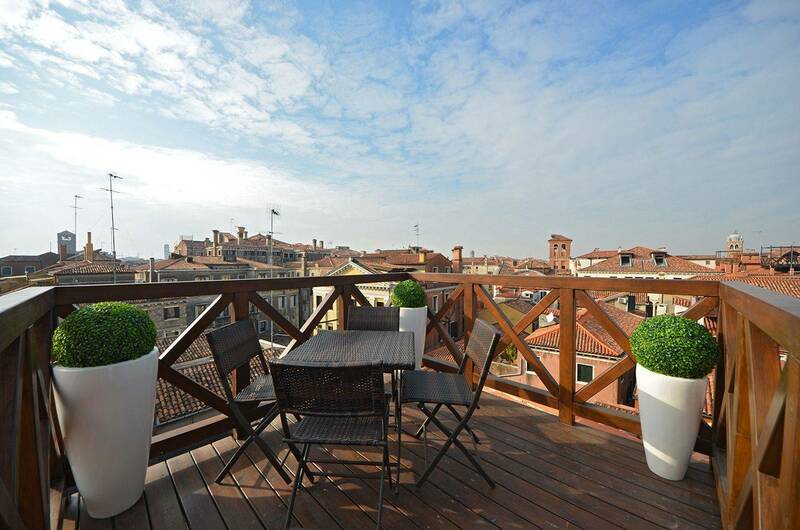 We were very impressed with Truly Venice and, in particular, with the SAGREDO apartment. We travelled with our 9-year-old son who was very comfortable in the upstairs sleeping area while we loved the main bedroom downstairs. The closet was a great size, kitchen was wonderful and the apartment itself -- from the tasteful details to the lovely light throughout the day to the incredible Atlanta outside -- was a delight. Perfect location. We did truly enjoyed this peaceful, immaculate oasis. 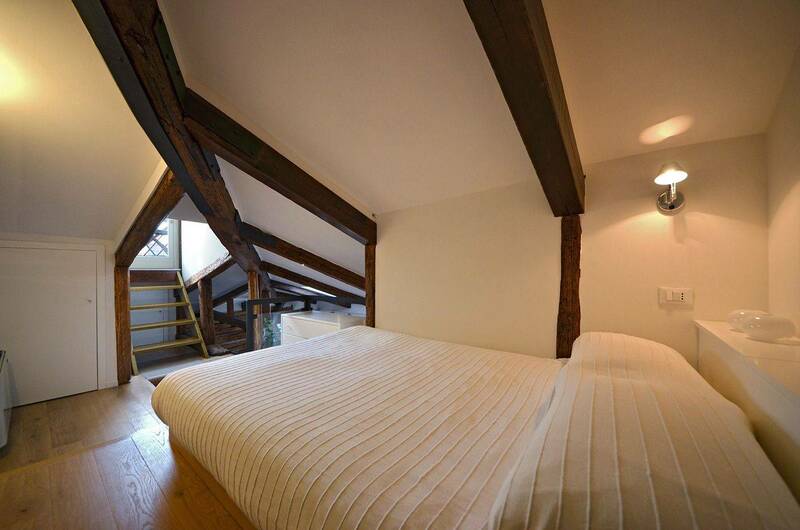 What a stunning apartment -- you couldn't do better; don't hesitate to book this one!